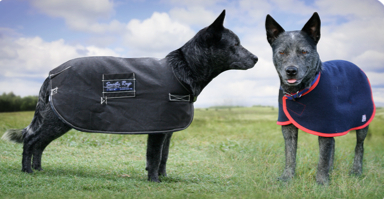 Water proof oilskin dogs rugs, keep your pooch warm and dry. Fully lined with wool. Velcro or Side Release closure around belly, choice of clip or velcro around front.